On August 31, 1821, German physician and physicist Hermann von Helmholtz was born. In physiology and psychology, he is known for his mathematics of the eye, theories of vision, ideas on the visual perception of space, color vision research, and on the sensation of tone, perception of sound, and empiricism. In physics, he is known for his theories on the conservation of energy, work in electrodynamics, chemical thermodynamics, and on a mechanical foundation of thermodynamics. Hermann von Helmholtz was born in Potsdam, Prussia, the son of August Ferdinand Julius Helmholtz und Caroline Penne. He attended the local Gymnasium, where his father was a teacher in philology and classical literature. 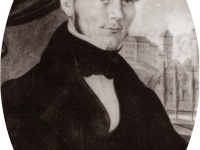 Hermann was mostly interested in physics and wanted to also study the subjects at the university. Unfortunately, his family’s financial background did not allow him to pursue the plan and his father managed to persuade him to study medicine as this was supported by the government. Hermann von Helmholtz continued his education at the Royal Friedrich-Wilhelm Institute of Medicine and Surgery in Berlin and in order to be financially supported, Helmholtz had to promise to work for ten years as a doctor in the Prussian army after graduating. Next to his medical studies in Berlin, Hermann von Helmholtz also took the opportunity to attend classes in chemistry and physiology at the local University and studied mathematics at home. In this period, he was significantly influenced by the works of Laplace, Biot and Daniel Bernoulli as well as Kant. Helmholtz received his doctorate in 1842 with a thesis on microscopic anatomy. He was an above-average graduate, but at first there was little evidence of an academic career. He initially worked for one year as an assistant physician at the Charité. 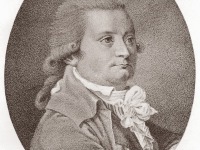 After graduating, Helmholtz was assigned to a military regiment at Potsdam where he continued his research in the field of physics and medicine. For instance, Helmholtz demonstrated that in situations where energy appears to be lost, it is often converted into heat energy. This can be applied to muscle contraction as well as in collisions or expanding gases. His works on the topic were regarded as highly important and he was released from his obligation as an army doctor and in 1849 he was appointed professor of physiology and pathology in Königsberg. There, Hermann von Helmholtz published his important work on physiological optics and physiological acoustics. Through his research at Königsberg, Helmholtz received a great international reputation. Helmholtz helped Thomas Young‘s additive theory of color vision to achieve a breakthrough in 1852, showing that three primary colors (Young had needed six) were sufficient to produce all the others. He assumed that there must therefore be three types of photoreceptor cells in the eye (three-color theory). In 1851 he invented the ophthalmometer for determining the radius of curvature of the cornea and in 1857 the telestereoscope. Back then, he was mostly interested in the physiology of the senses and his main publication in the field was ‘Handbuch der Physiologischen Optik‘ (Handbook of Physiological Optics or Treatise on Physiological Optics) in which the scientist provided detailed empirical theories on depth perception, color vision, and motion perception. The work became the fundamental reference work in his field during the second half of the nineteenth century.In the third volume, published in 1867, Helmholtz described the importance of unconscious inferences for perception. It was also translated into English on behalf of the Optical Society of America. However, in 1852, he published a paper on color vision and the experiments Helmholtz performed back then led him to reject Newton’s theory of color. In later years he published new experimental results showing those of his 1852 paper to be incorrect. He developed a mathematical theory to explain the timbre by overtones, the resonance theory of hearing and based on it The theory of sound sensations as the physiological basis for the theory of music (1863). 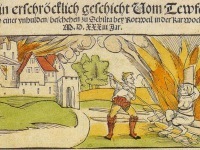 In his treatise Über die Erhaltung der Kraft (1847), he formulated the principle of energy conservation in more detail than Julius Robert von Mayer had done in 1842, thus making a significant contribution to the recognition of this initially very controversial principle. He fended off the accusations of plagiarism of many of his contemporaries by saying that he did not know Mayer’s work, published five years earlier. By applying the principle of energy conservation to living beings, Helmholtz contradicted the vitalists who accepted a vital force as the basic force of life. Among Helmholtz’s most outstanding later achievements are his three papers on “Thermodynamics of Chemical Processes” (1882/1883). Helmholtz applied the main theorems of thermodynamics to electrochemistry. He introduced the concept of free energy, which can be used to predict whether a chemical reaction according to the laws of thermodynamics (Gibbs-Helmholtz equation) is possible. However, his wife suffering from tuberculosis could not stand the harsh climate in East Prussia. With the help of Alexander von Humboldt, Helmholtz moved to Bonn in 1855 to accept the vacant chair of physiology. He continued to publish in the field of physiological optics and physics. 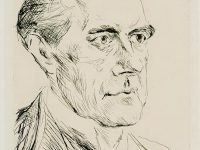 Further research topics in Hermann von Helmholtz’s career include electromagnetism, acoustics and aesthetics, nerve physiology and sensory physiology. From 1858 Helmholtz accepted a well-paid professorship in Heidelberg, where he was the first holder of a physiology chair at the University of Heidelberg until 1870, and from 1858 to 1863 Wilhelm Wundt  was also his assistant there. In 1858 Hermann von Helmholtz was elected corresponding and in 1870 foreign member of the Bavarian Academy of Sciences. In 1870 Heinrich Gustav Magnus, professor of physics at the Friedrich-Wilhelms-University Berlin, died. Helmholtz was offered this professorship. Since he had been more interested in physics than in physiology in recent years, he accepted the offer. Helmholtz was already regarded as one of the greatest, most versatile thinkers and researchers in Germany. It was passed with great effort by the educated population of Heidelberg. 1877/1878 he was rector of the university. From 1879 to 1883 the young Heinrich Hertz  worked for Helmholtz in Berlin. In 1883 Helmholtz was elevated to the nobility. From 1882 he was, along with Wilhelm Foerster and Werner von Siemens, one of the initiators of the later establishment of the Physikalisch-Technische Reichsanstalt. Hermann von Helmholtz was conferred with Honorary Membership of the Institution of Engineers and Shipbuilders in Scotland in 1884 and one of the largest German associations of research institutions, the Helmholtz Association, is named after him. Helmholtz died of a second stroke on 8 September 1894, at age 73. At yovisto academic video search, you may be interested in a video lecture by Professor Ayliffe on ‘Color Vision’ at Gresham College.